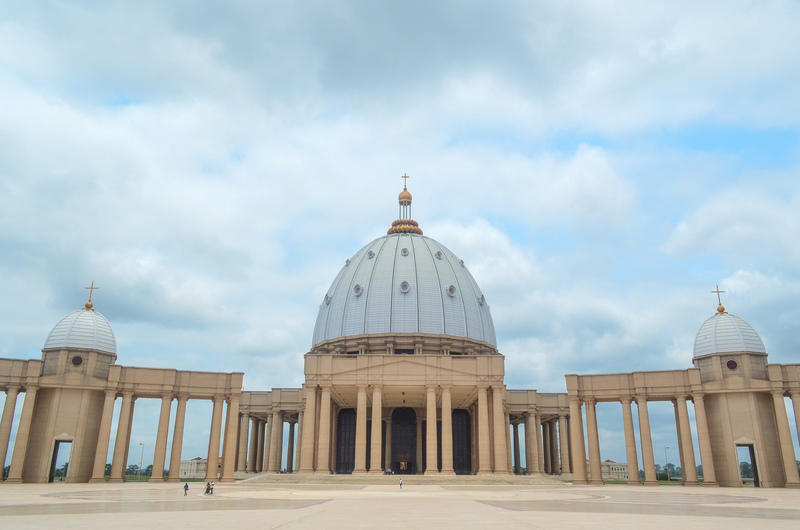 You may not know that there’s a St. Peter Basilica replica in the middle of Ivory Coast. Technically it is not an exact-full scale copy of it, because it’s bigger and taller. Actually it is the world’s biggest church, according to the World Guinnes Records. Félix Houphouët-Boigny was the former president of Ivory Coast during the two booming decades of what was called the “Ivorian miracle” after the indipendence from France in 1960. 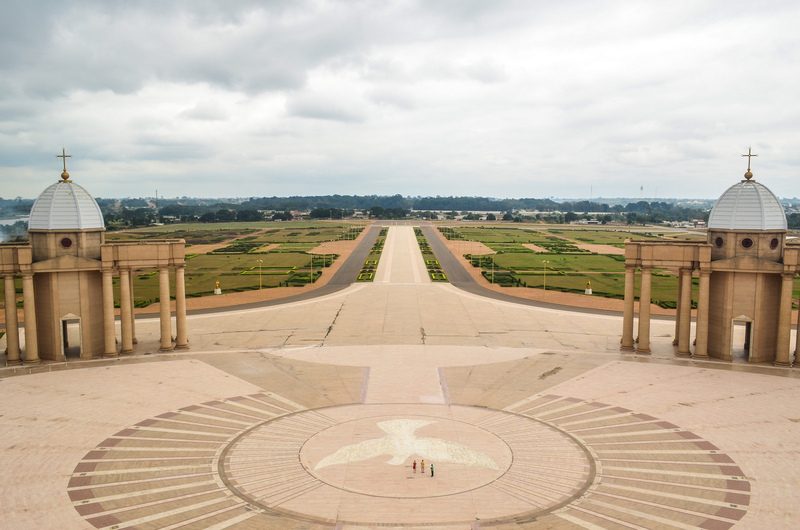 He decided to move the Capital to the little town where he was born, called Yamoussoukro, that he planned re-design with huge investments on infrastructures and buildings, something that, at that time, was a cool thing to do, being him the leader of a rising country. So he called the Lebanese equivalent of Oscar Niemeyer, the architect Pierre Fakhoury to help him build his shiny new, super-modern city of the future, featuring palaces, roads, one of the largest airports in Africa, and a church—the Basilica of Our Lady of Peace of Yamoussoukro—that was modeled directly after St. Peter’s Basilica in Rome. 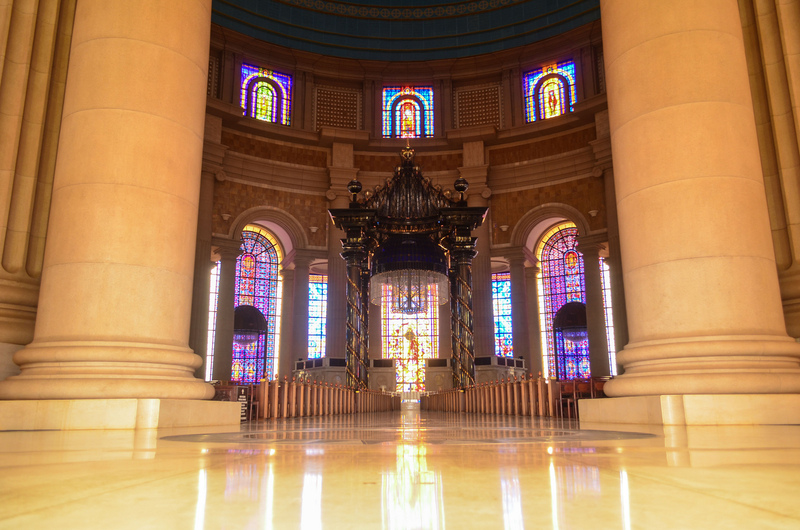 The basilica is constructed with marble imported from Italy and is furnished with 7,000 square metres (75,000 sq ft) of contemporary stained glass from France. 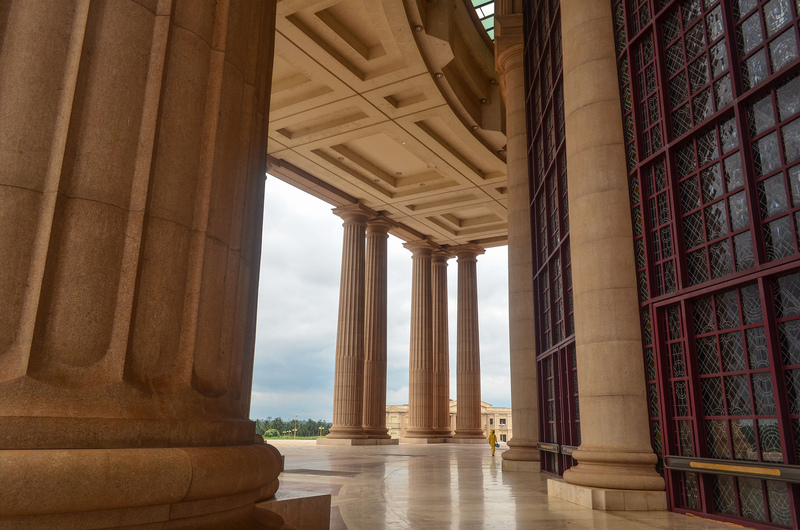 Columns are plentiful throughout the basilica but are not uniform in style; the smaller columns are there for structural reasons, while the bigger ones are decorative and contain elevators, rainwater evacuation from the roof and other building mechanical devices. 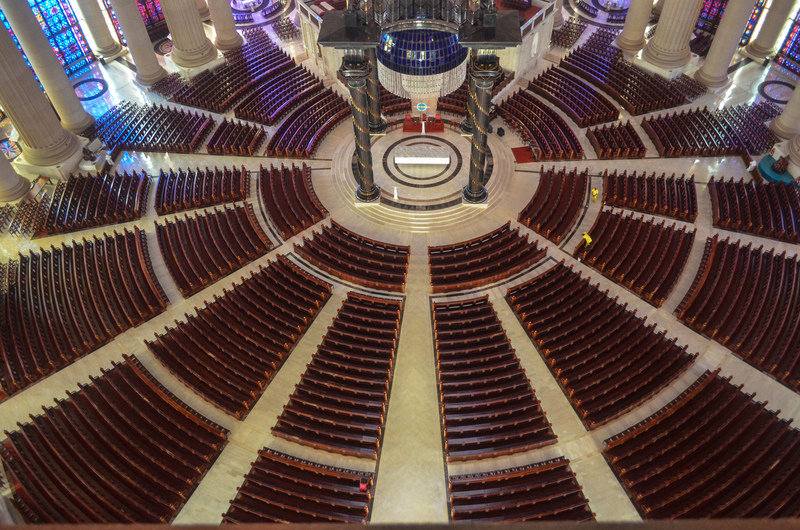 There is enough space to seat 7,000 people in the nave, with standing room for an additional 11,000 people. Apart from the basilica there are two identical buildings each serving as rectory and private papal villa, respectively. The villa is reserved for papal visits, of which only one has occurred: when the basilica was consecrated. 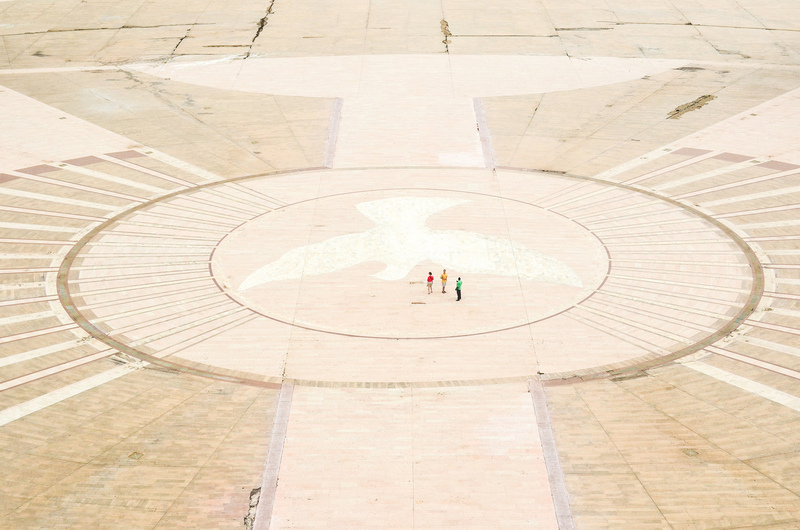 If we think about these cities built out of nothing around the world like Brasilia or Chandigarh, some of them are a complete failure; other succeeded beyond their planners’ wildest dreams, and that’s because cities are far more complicated than anyone can imagine. 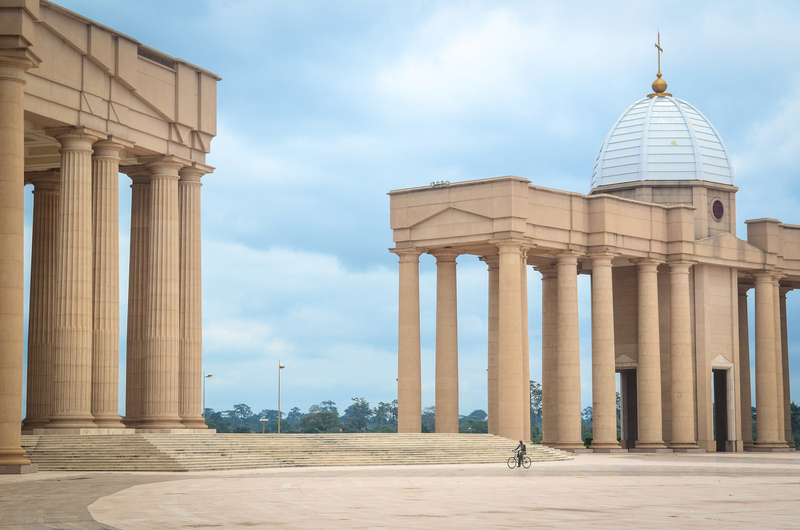 For Yamoussoukro, one of the fatal flaws was the Houphouët-Boigny’s decision to focus on a 300 mln euro church rather than building a stable infrastructure or economy for the city. Today, the church reportedly hosts a tiny congregation of no more than a few hundred people, though it was built to seat 7,000. 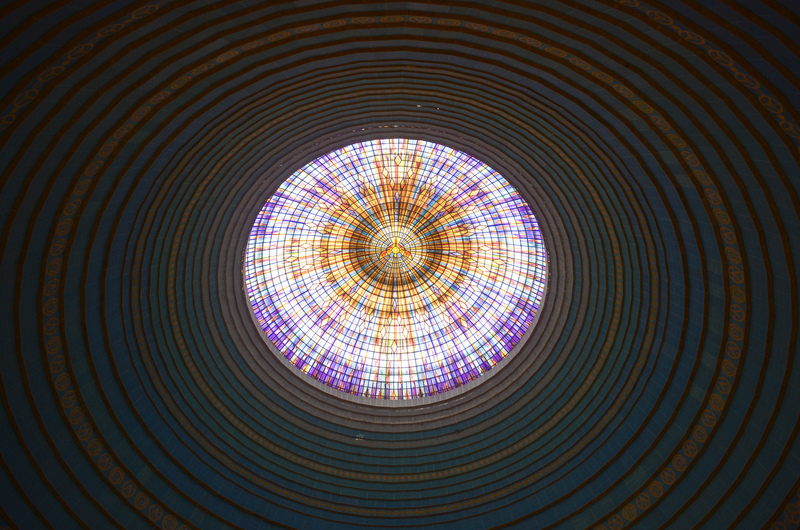 Luckily for those of us nowhere near the Ivory Coast, French photographer Jean-Baptiste Dodane has licensed his beautiful photos of the church under Creative Commons. History sometimes is recurringly funny. 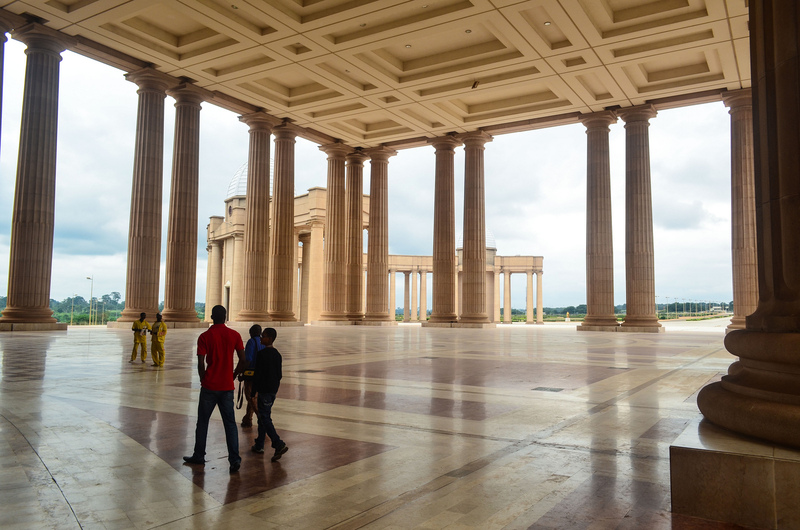 Imagine a king, a leader of a Nation, or a Pope, that has a huge amount of money, he decides to spend it all building something that will be remembered for hundreds of years, something that his subjected will admire for generations, plated in marble and gold, big as nothing ever before. It’s incredibly easy to imagine this kind of scenario. Something like the Vatican. Or a copy of it slightly bigger. Can you find the difference?